There are currently 50,949 users on this website. 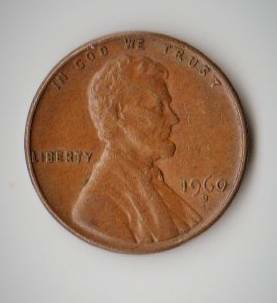 I found this 1960 penny looks like part of the 0 on date is chipped off. Would this be a error if so what kind? Pic is small,but looks like wrapper machine damage. Or it has taken a hit and displaced the metal. In either case it is not an error. Just damage on that area. It's Post Strike Damage ( PSD), and it's worth face value. Post minting damage ( PMD) not a mint error. 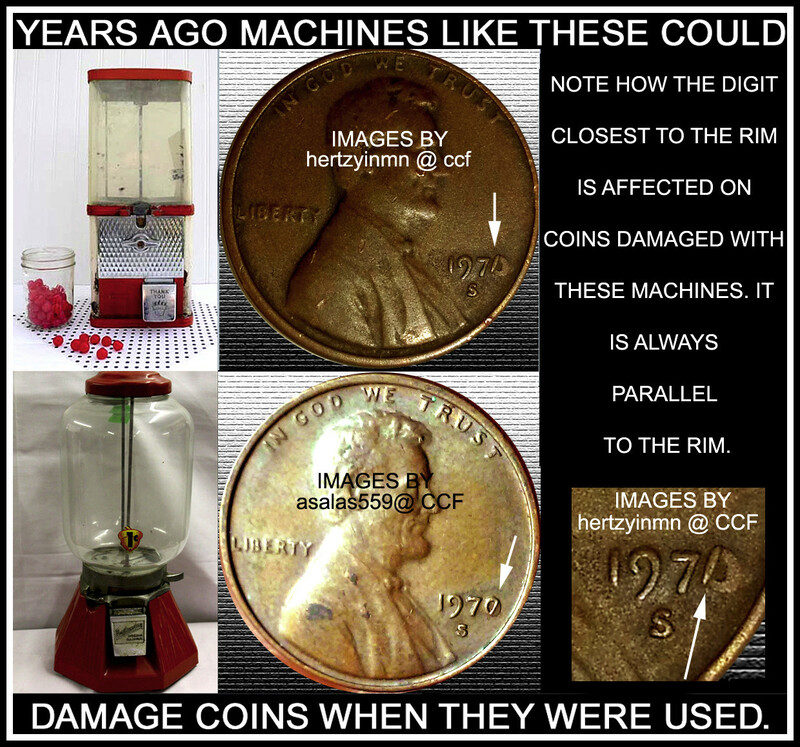 Parallel to the rim, bubble gum vending machine damaged.